Never let yourself be swayed by fluctuating fashions: this is the secret of the greatest designers. 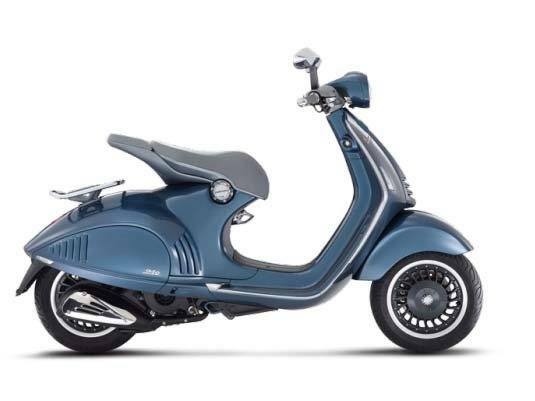 For this reason, the Vespa 946 enhances the classic values of tradition: the shape of the handlebar, the proportions of the fairing and the sheer curves of the two-seater saddle all take their cue from the earliest drawings. 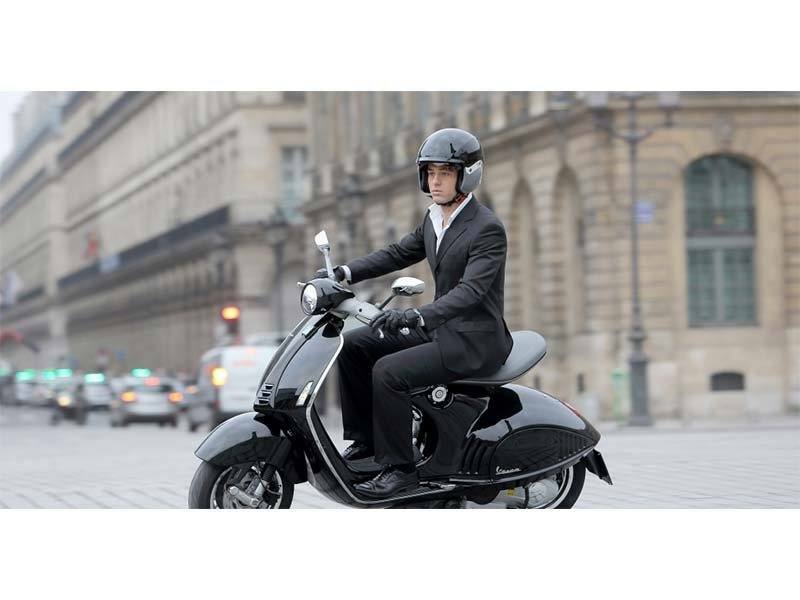 The only fluctuation allowed here is the personality of the rider: for people who prefer a purer sporty style, a simple gesture transforms the saddle into a single-seater. Aesthetic illumination turns into practical experience. Truly successful design steers a course between technology and consumption, remaining true to its purpose. The Vespa 946 is rooted in the aerodynamics of the original MP6 prototype, yet it embraces the user-friendly focus of new millennium projects. Because the new concept in taste is not something that can be developed. It is simply achieved. 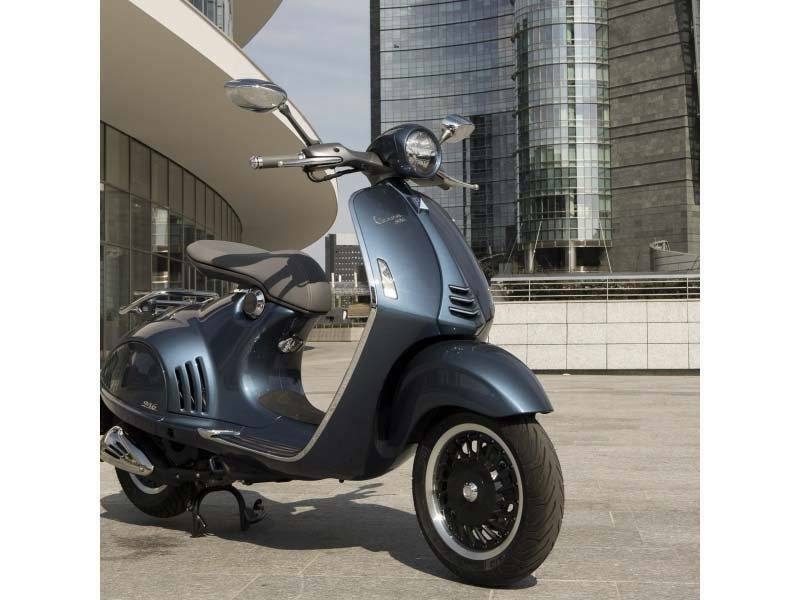 The Vespa 946, on the other hand, is art applied to mass production: from the press shop to tumble finishing, from the first stitching on the handle grips to the final polish, every process is performed by hand, as if the factory were an artist’s studio. Because the craftsman is an artist. The history of art is the history of objects; above all, it is the history of ideas. In the Vespa 946, ideas acquire physical form in their own right. They begin as a pure expression of a style synonymous, in the minDual Sport of millions of travelers and dEVOtees, with freedom of movement and expression. They develop into lines, shapes and colors that have more to do with design than industrial production. 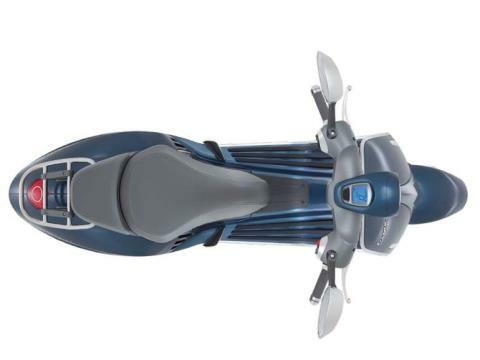 With the result that the Vespa 946 establishes new ABSolute aesthetic standarDual Sport that have already gone down in the history of the two-wheeler.